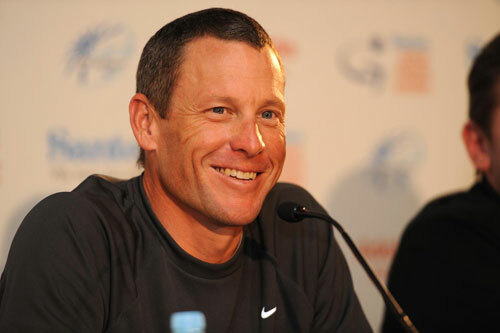 Organisers of the Tour Down Under have refused to say how much they are paying Lance Armstrong to ride their race. The subject made it in to Australian politics as an opposition spokesman said that the public should decide whether the American was worth the money. According to The Weekend Australian the money has come directly from the government, and with Armstrong publicly endorsing South Australia Premier Michael Rann, opposition MPs claim that having Armstrong in Australia is a form of ‘backdoor’ political advertising. Previously the Victorian government had been upfront with the AUS$1.5m fee given to golfer Tiger Woods to play in the Australian Masters last year. A spokesperson for the government defended the nondisclosure, saying that making it public would potentially allow other events to ‘steal’ Armstrong away. Team Sky Principal and British Cycling Performance Director Dave Brailsford flew in to Adelaide via Perth yesterday, as he visited the British track sprinters on their training camp in Western Australia. Sir Chris Hoy, Victoria Pendleton and several other track riders are in their favoured winter location ahead of the track world championships in Copenhagen this March. RadioShack team boss Johan Bruyneel has tipped the big sprinters for glory ahead of next week’s Tour Down Under. 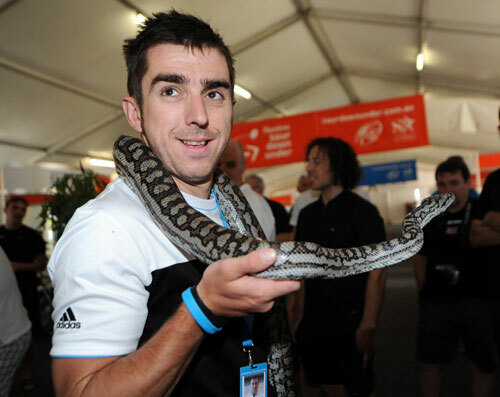 “I think [André] Greipel, Allan Davis and [Robbie] McEwen are the big favourites,” he said in a press conference today. RadioShack will look to new sprinter Geert Steegmans for glory as many suspect the six-day race will once again be battle of the lead-out trains. “We have Geert Steegmans, who takes a new start in his career after a difficult year, [but] we don’t have the top sprinter here,” Bruyneel admitted. Team Sky riders Russell Downing and Ben Swift trained for the heat of Adelaide in the north of England during the country’s harshest cold snap for over 30 years. The pair were meant to travel to Manchester for their heat treatment, but with snow and ice making travelling conditions treacherous, they decided to do it themselves. “We turned up the heating to the mid 30s and wore several layers as well,” Downing added. Since arriving in Adelaide most of the teams have been starting their training rides early in the morning to avoid the worst of the mid-day heat. Except for Ag2r la Mondiale that is. On two occasions during last week’s heat wave the French team didn’t leave the hotel until 10am for five hour rides. “What they’ll also use, perhaps more than anyone else, is technology. I think they’ll really push the envelope when it comes to technology and aerodynamics and other things with regards to materials, that we’re all going to look at and go ‘woah, I never saw that before’.